Description: The number 1080 comes from the sum of all the internal angles of the octagon. 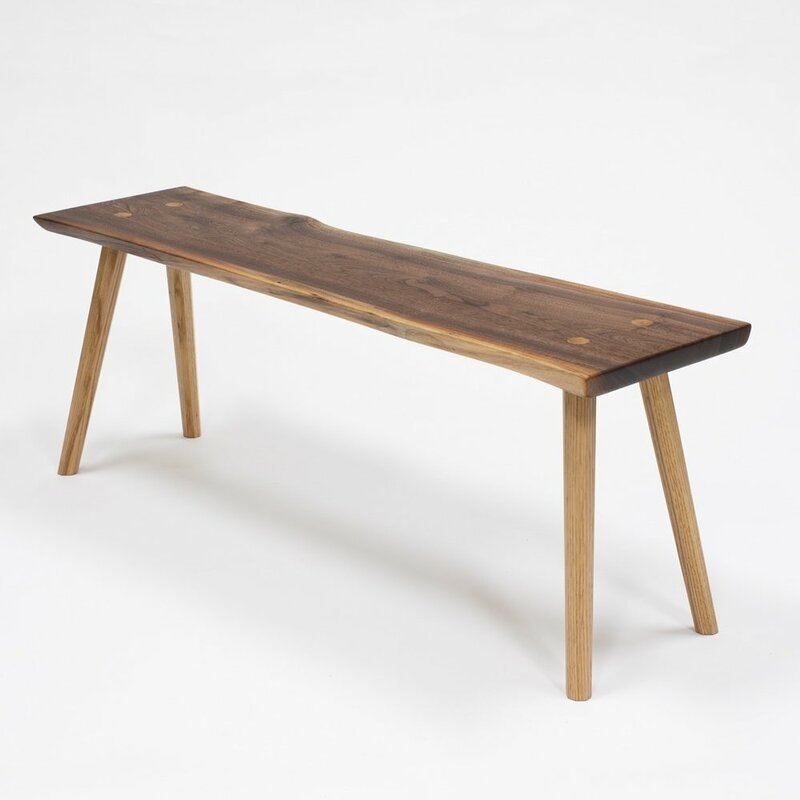 This natural edge bench is equally at home in any room. It is made of a slab of Texas walnut with tapered octagonal white oak legs. The contrasting legs pierce the top, their tenons wedged to keep the joint tight. Octagonal pieces have been inlayed into the top, creating the illusion that the octagonal legs pierce the top. Finished with hand rubbed oil.